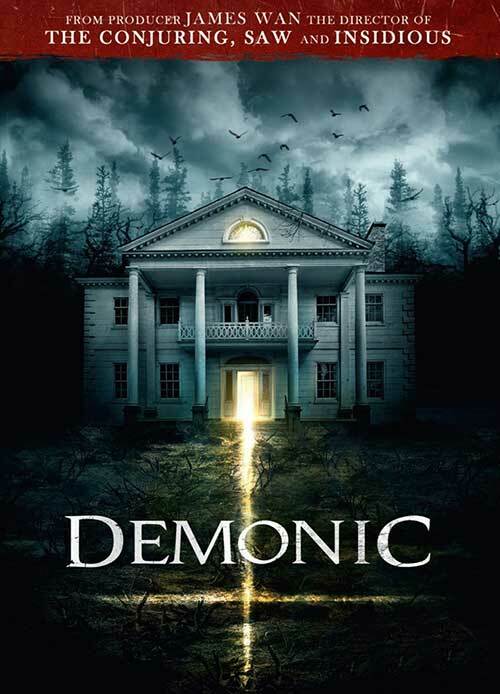 Demonic is the story of 20-somthings that are documenting a haunted house investigation. Things go badly and the police are called into investigate. The detective in charge discovers a sole survivor and calls in a psychologist to help. As they unravel the mystery of what happened they soon discover there are darker forces involved. The other night I watched Demonic and I enjoyed it. The person I watch it with didn’t. Of course she’s much older than I am and thought it was too much of a teenager’s horror movie. I was shocked by this. Even though the movie deals with a bunch teens and twenty-somethings getting killed, it’s not about that. It’s much more than that. Demonic takes place in the now but there’s a lot of flashbacks and found footage type stuff but this isn’t a “found footage” movie. I enjoyed it because it wasn’t your typical kids do dumb things and get killed horror movie. This had grownups in it. Demonic wasn’t the story of said kids getting killed, it takes place, for the most part, after they’ve all been killed. This is a story of the Detective investigating the murders and the psychologist whose been brought in to interview someone who could be the sole-survivor or the killer himself. The story that unfolds is a mystery, that becomes a ticking clock, that becomes a supernatural story. How can that not be interesting? why would anyone not enjoy that? How could my mom not like this?! er.. I mean, older mature women I watched this movie with. The acting was fine in Demonic. There weren’t really any standouts except for Maria Bello but she’s pretty much amazing in everything she does. For me, the star of this movie was the story, the direction and the cinematography. It wasn’t overdone or visually stunning, but it captured the mood without overdoing it. There’s a time and place for visually stunning film making. But, sometimes it can be a distraction. Demonic blends seamlessly between the present and the past. There’s never any confusion with that regard and it allows to comfortably lose ourselves in the story. There’s not a lot of gore but it’s got a couple of jump scares, it’s got a creepy old house, and an interesting story with some twists and turns along the way. It’s a solid movie, the problem is that it’s hard to find in the states unless you have a hacked dvd player that can play most regional coding. But, if you get the chance, it’s well worth the watch.